When the baby is able to sit on the potty, parents begin to think about teaching the crumbs on to the next "toilet skills", namely, to use the toilet. How to acquaint the child with this necessary household and useful items? 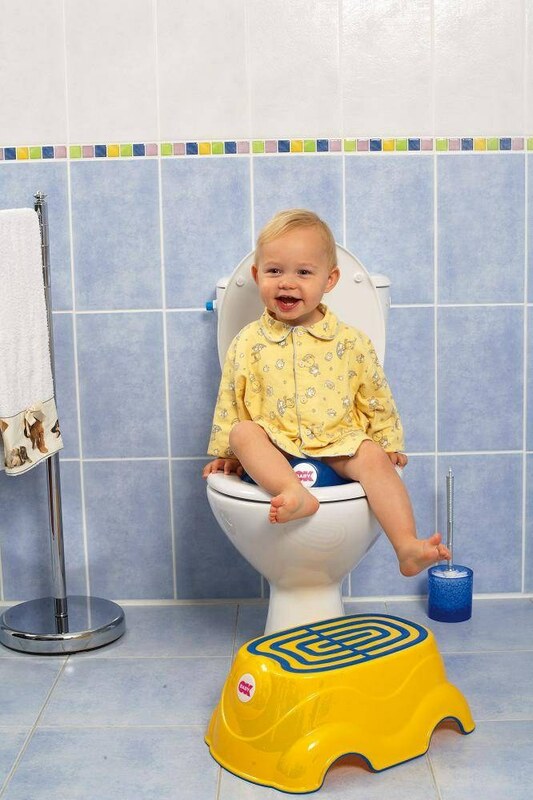 Start to teach your baby to use the toilet only when he wants it. This usually happens with children who already know how to use the potty. The kids are starting to get interested in adult things, go to the bathroom. Start with the fact that show the child how to pour the contents of his potty into the toilet. Try to do this together. Encourage your child to flush the water out of the tank, show him how it's done, and then have to try for yourself. He will surely enjoy, because young children love to imitate adults. Purchase a special children's toilet seat. Convenient plastic products with small backs. You will also need special low footrest to ensure that the child is able to climb on the toilet and get down with it yourself. Many kids are afraid to fall, losing balance. So the first time will certainly keep the baby. Teach the child to wipe. If at first it'll be bad, not very good quality, don't worry. Be patient, but let the kid to do it himself. Just gently and delicately direct his actions. Teach your toddler after using the toilet always wash hands with soap and water. A significant role in the process of accustoming the child to the toilet has the correct motivation. When the baby knows what he does to become independent adults. Support the baby so he could be proud of their achievements, knowing that mom and dad appreciate them. Child, to learn to use the toilet can sometimes continue to walk to the potty. There is nothing wrong. Moreover, the pot still will be needed for the baby for some time. For example, in trips, at the cottage or night, if the toilet is far away from his room.